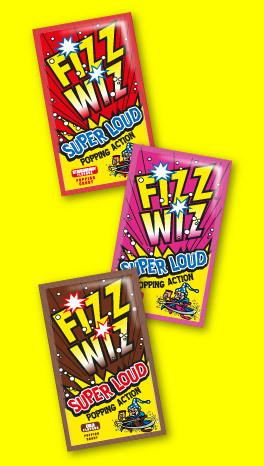 ZETA ESPACIAL S.A. was established in 1979 and is the world's leading manufacturer and international distributor of Popping Candy. ZETA ESPACIAL S.A. was founded in 1979 in a small industrial plant in Sant Boi (Barcelona-Spain) to manufacture popping candy under various brands. In 1994 the company moved to a brand new state of the art production facility located in Rubi, a town near Barcelona. A modern plant with over 10,000 Square metres with the latest manufacturing technology that operates in accordance with the GMP of the U.S. Federal Food and Drug Administration (FDA) and the strictest EEC technical and hygiene regulatory requirements as well. The fundamental commitments or core values of our company are quality, innovation and market orientation, with continuous investments in technology and human resources to guarantee the highest quality products for our consumers. 1997 was also a key year in our history: TWO TO ONE®, the first candy+surprise was launched to the market. Following its expansion strategy, ZETA ESPACIAL S.A. incorporated its affiliates in two key markets in 2002: ZETA ESPACIAL INDUSTRIAL S.A. de CV in Toluca (MEXICO) and POP ROCKS Inc in Atlanta (USA). In the past decade, ZETA ESPACIAL has received several Awards as recognition to the development of the export business and expansion at an international level, since company is currently exporting to countries in 5 continents. Currently ZETA ESPACIAL is a family company that offers employment to people in Spain, Mexico and the US and that continues to be proud of its passion for innovation, quality and internationalization.